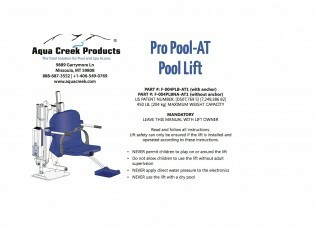 In addition to a low-profile design, the Pro Pool Lift does not intrude into the pool when not in use. 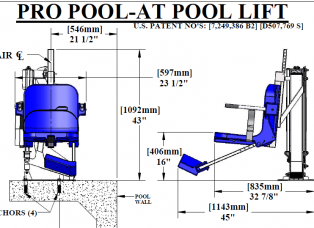 Several versions are available, including our deep draft configuration, which provides access to deeper pools. 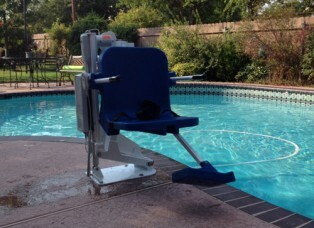 Reverse configuration and extended base options are available for pools with larger gutters. Try our new quick attach anchor kit and transport cart to make removing and storing your lift easy. Set back ranges from 10 – 48 cm (4” – 19”) Submergible push-button remote control Rechargeable battery with wall mount charger.